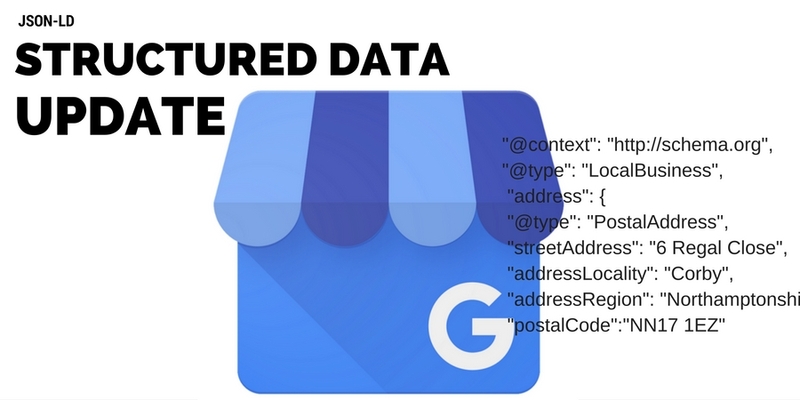 Google’s Structured Data Testing tool started showing errors messages that included: images and priceRange for LocalBusiness structured data and for @type Hotels, it also showed errors for starRating. This is not an error with the Structured Data Testing tool, as the new fields have also been updated within Schema.org and if you actually correct the errors, you get a green Preview button displayed, which displays how your business will appear in mobile Rich Cards. 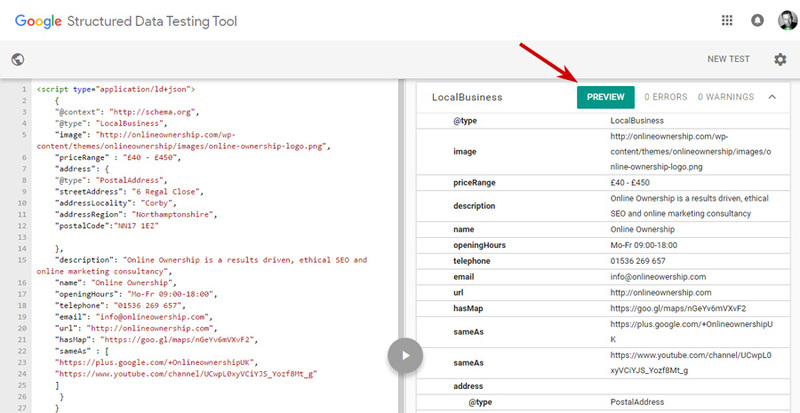 New errors appearing for Local Business structured data markup within structured data testing tool. Depending on your business @type the two prevalent ones are: images and priceRange. As mentioned earlier, this is not a bug as some people are speculating. If you do correct the error fields and update the structured data, you will see a preview button appear. Lines 5, 6 updated with new fields. Once you have corrected the error fields and click the green preview button, you are shown a preview of what your mobile rich card may look like in search. 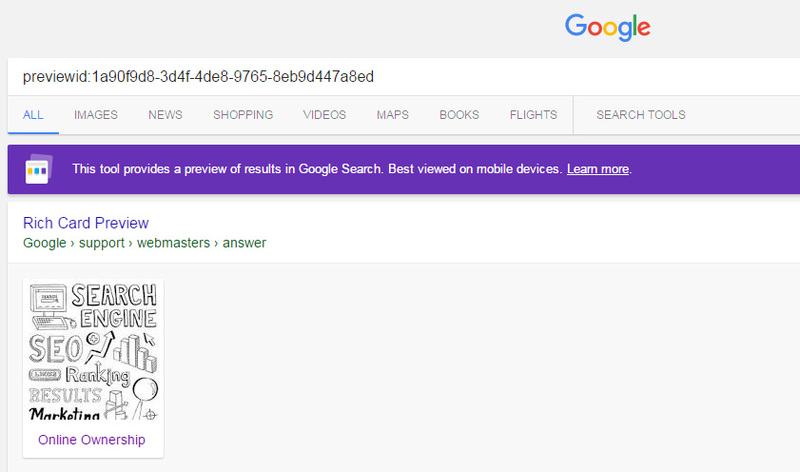 What is the Google Search Preview Tool? The Google Search Preview is not a real Search results page. It helps you preview your structured data markup for web or mobile app URL as it would appear in the Google Search results page. This helps you ensure your structured data markup or App Indexing integration generates the Google Search display you expect. The tool uses a prominent message to indicate that Search results are only a preview. The search preview is approximate. Real Google Search results for your data might look different. The search preview is illustrative. We do not guarantee that the content you preview will be displayed in Search results. Your content will likely appear in Search results for relevant queries, but that content must first pass through our systems to be appropriately indexed and ranked before it appears in actual Search results. We reserve the right to filter out any results at our discretion if it violates our quality guidelines. 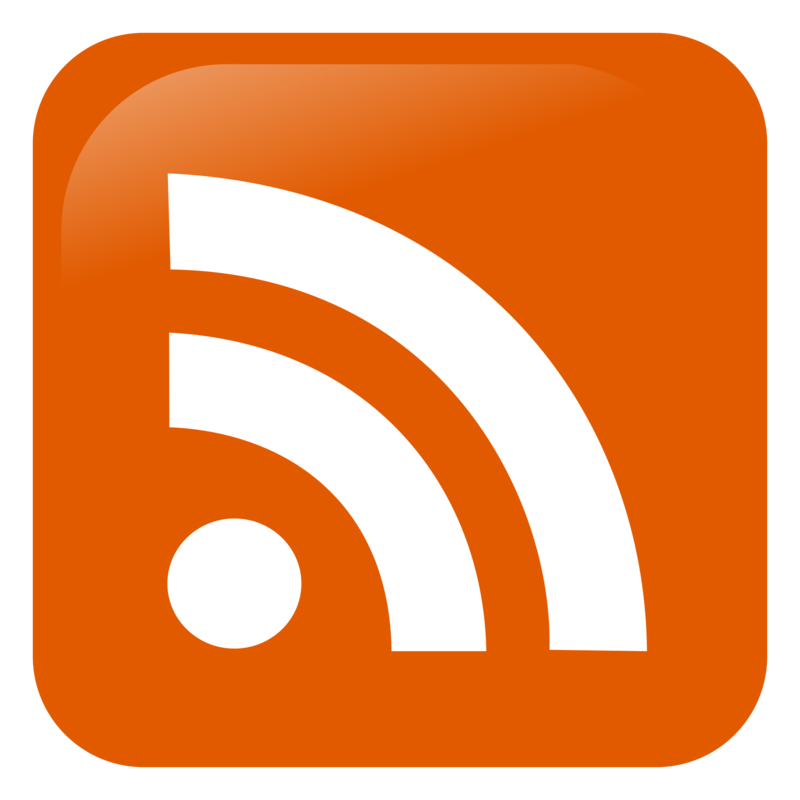 Finally, any preview tool URL for your content is only valid for a limited duration (e.g. weeks). 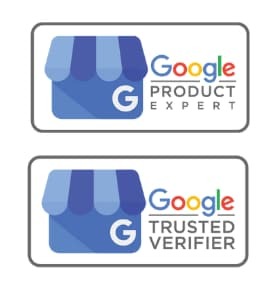 We don’t guarantee the specific position of the result on an actual search result page. New fields required in Hotels structured data is: image, priceRange, starRating. 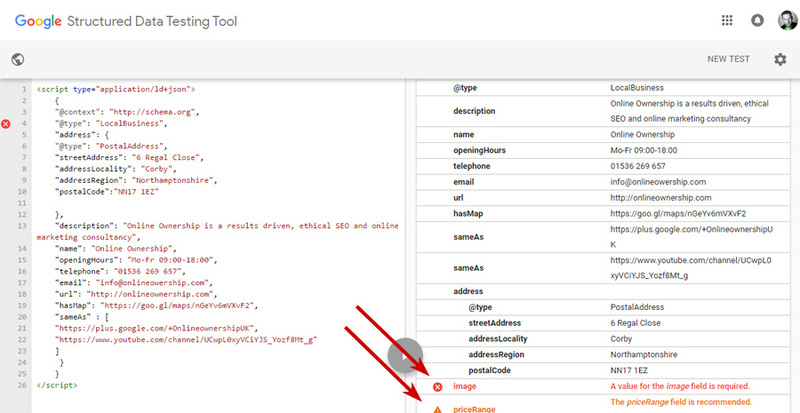 View additional updated hotel structured data markup with aggregateRating and reserveAction. This entry was posted in Blog and tagged Schema. Bookmark the permalink.